Insurance Claims Tulsa – Is Your Roof Covered? Insurance Claims Tulsa – Tornado season and severe weather is in high gear. With gusting winds reaching over 50 mph and heavy rain, the skies can start turning pretty quick which can leave your roof or home with damage. Multiple parts of Oklahoma have been hit hard over the past couple of weeks, and various homes have had to file a claim due to storm damage. The next question is: Is your roof covered? 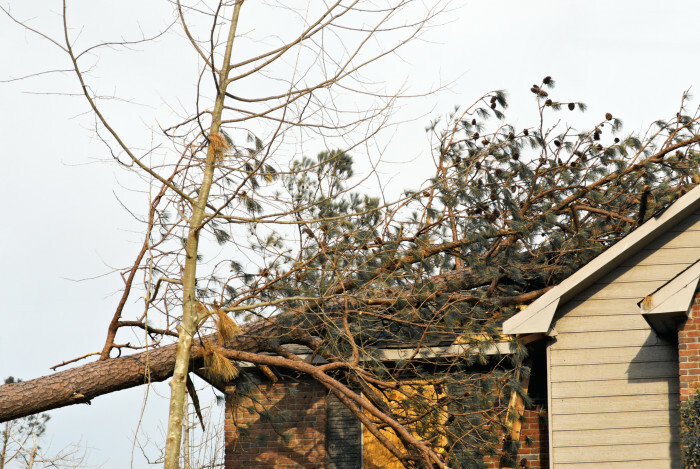 Dealing with insurance claims can be difficult, but most homeowner insurance policies will provide coverage for roof damage that is caused by natural disaster. Even if your home has some ripped off shingles or slight damage, it might not be covered by your policy. There are many reasons as to why your insurance policy might not accept damage due from wind, rain or hail. Some of those reasons could be water damage due from flooding or damage due from water leaking into your home from the roof. Our insurance claims Tulsa process documents the damage to your property and provides you with an estimate for the repair or replacement with the consent of the insurance adjuster. Filing an insurance claim through our roofing professionals, we can verify the damage to your property. Step 1: Finding damage to your home, you should call the insurance agent to file a claim. Step 2: Next you will want to sign a contingency agreement with Roofscapes Exteriors in order for us to be selected as your contractor of choice. Step 3: An insurance adjuster will be assigned for your claim and should call you within a 48-hour window. Once you’ve completed those three steps, you will want to go through the Claims Process. With replacing a roof or other part of the exterior, it can be time consuming and expensive. Having all of the right steps in motion with preventing damage to your home or filing the claim is important. Having your roof inspected by our professionals can identify the areas that might need immediate repair. Helpful Tip: Take before and after photos of the property and damage along with the paperwork for the insurance claim because it will help the process run more smoothly! If you’re in need of a roof repair or replacement due from storm damage, please contact us today for an insurance claim Tulsa and we’ll be glad to assist you! Connect with Roofscapes Exteriors on Facebook, Twitter, and Instagram to learn more about our roofing systems and helpful tips for severe weather strikes.